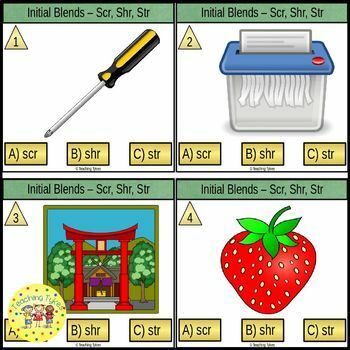 16 Initial Blends Task cards for initial blends Scr, Shr, and Str. 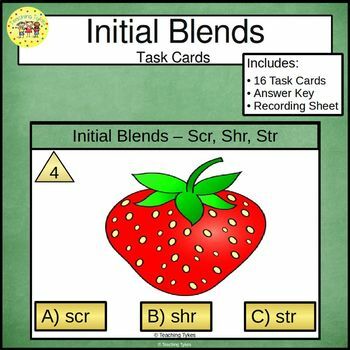 Each card has a picture and initial blend choices. 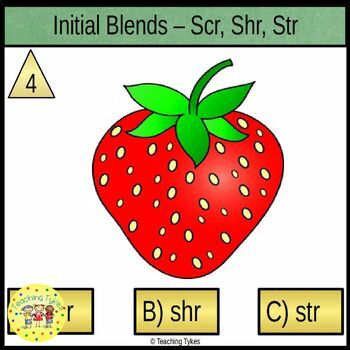 Students choose the correct initial blend answer choice. 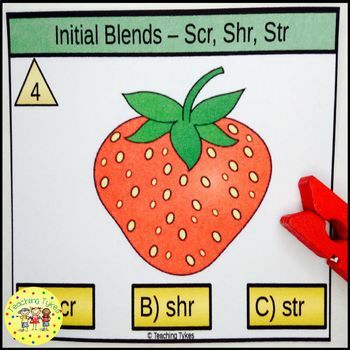 A Hands-On Activity your kiddos will love!